Hot Pink Pave Earrings As Low As $2 SHIPPED (Reg. $19.95)! You are here: Home / Great Deals / Hot Pink Pave Earrings As Low As $2 SHIPPED (Reg. $19.95)! 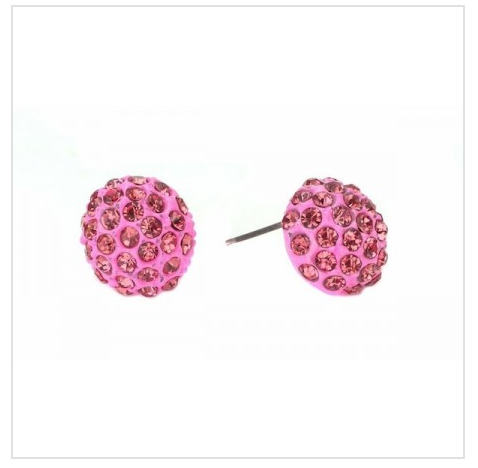 Check out this gorgeous Hot Pink Pave Earrings for As Low As $2 SHIPPED (Reg. $19.95) right now! These will add a fun pop of color for any outfit!! These are on sale for as little as $3 for current customers (down from $19.95! ), however, if you’re new, you can sign up at this link and share EOR with your friends and you’ll get a FREE $5 credit to use on anything on the site, which will make these FREE plus $2 shipping!